As we all know, when we block the sun from coming in it helps reduce the heat. I mean there are a lot of us that have those shades for our cars. So, I know this is not new to anyone, but I really cannot believe how much this has helped keep our house cool. You may have read here on my blog that we adopted two cats in July and they had ringworm. In order to keep it from getting all over the house and to keep it contained, we kept the cats locked up for over 30 days in one room. The room they were locked up in happens to be the hottest room in the house. One, it is upstairs and upstairs is where the heat rises to. And two, it is in a section of the house that gets the sun for most of the day from both sides. AND the windows happen to be on both those sides. So it was when the cats were in quarantine that we started putting up things in the window to help block the sun. It really helps with reducing the heat. In the cats room at first I used my pop up shades from my car. Many of us use the shades in the car because we know it helps keep the car cooler. So it only makes sense that using the same thing or something to block the sun will help keep the house cooler. But once the cats were out of the quarantine I wanted my shades back for my car. So we started just using some cardboard we had in the garage. As I said, I know this is not new to anyone, but seriously, I am happily surprised at how well it worked in the rest of the house. My office, the upstairs room, really gets hot no matter. The pop up car shades really helped. So does the cardboard. 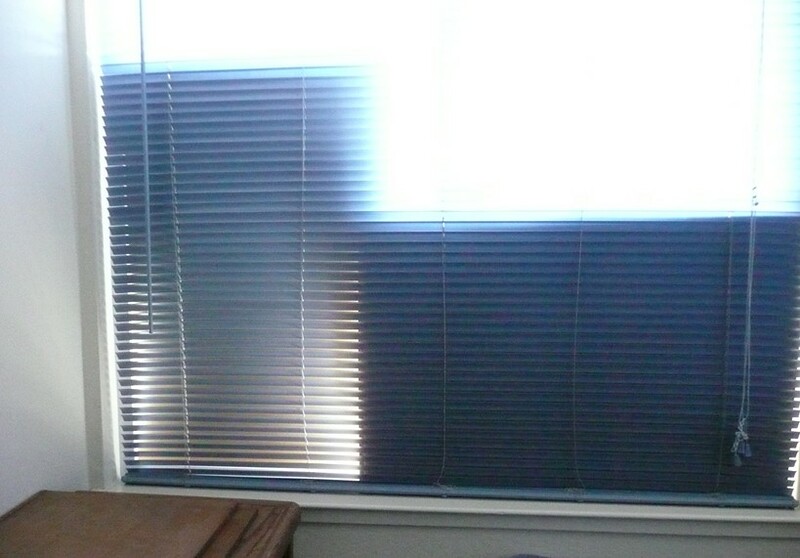 We put the cardboard in between the blinds and the windows. Since it worked so well upstairs I started doing it in the kitchen where the windows are on the same walls as the room upstairs. Wow! It really made a difference in the temperature in the kitchen. We just move the cardboard from one window to the other as the sun shifts and whew! It is amazing. Prior to this past week, we had been having a couple of weeks of really hot weather and I had been dreading it. But when the days actually were here it didn’t seem as hot because of the shade. I am amazed that we had not done that sooner. 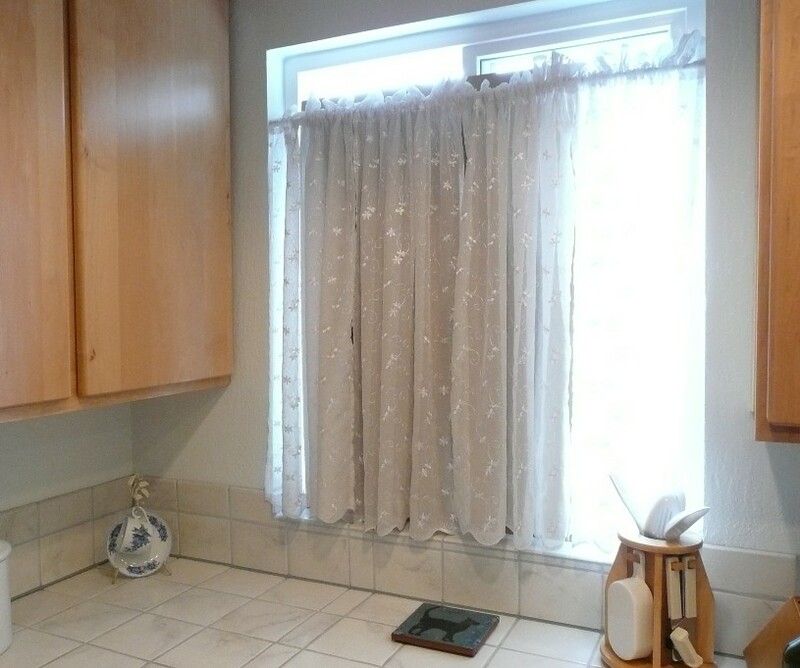 It is really quite silly because the curtains in the kitchen window aren’t even really curtains they are just sheer things that only go up half the window. Putting the cardboard up does keep me from seeing the hummingbirds during the day, but that is ok. We take it down during the “wartime” when the hummingbirds are battling it out in the evening. Since we don’t have air conditioning this little step of blocking the windows really helps us stay cool. There are plenty of other areas that the cats can look out from, but who am I kidding, they sleep all day anyway. I wouldn’t be surprised if some of you reading this are just going crazy thinking “why don’t you just get real curtains or blackout curtains”. Well, since the extra blocking out of the sun helps keep the house so cool, we might look into getting some actual blackout window treatments. I mean that would make more sense than putting up cardboard. But then again it is only during the hot days that we need that additional heat blocking help . . . so we will see. 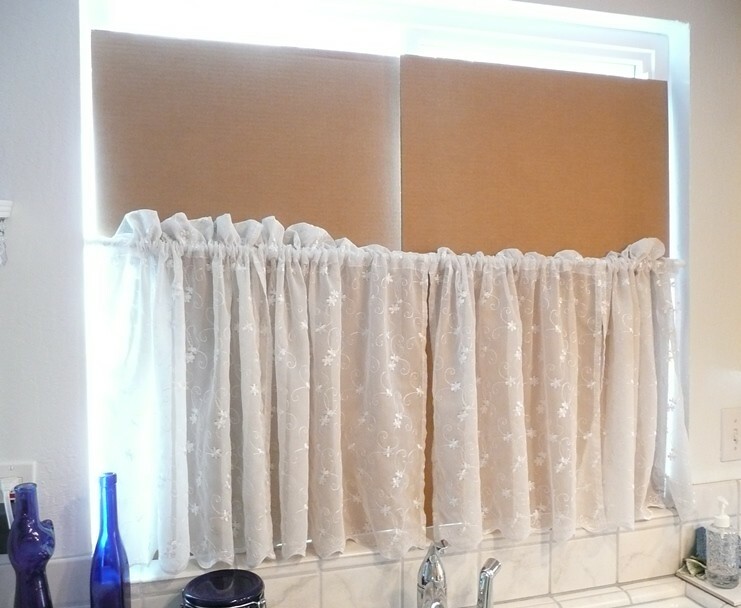 Do you have heavy curtains to block out the sun/heat? Do you have blinds or curtains? Have you ever just put something up in the window to help keep the heat out? This entry was posted on October 3, 2015 at 11:19 pm	and is filed under Misc. Tagged: adopted cats, blackout curtains, block the sun, car shades, reduce the heat, ringworm cats, sun blocking blinds. You can follow any responses to this entry through the RSS 2.0 feed. You can leave a response, or trackback from your own site.